When summer arrives in Phoenix, you will require your air conditioning on an almost daily basis. In fact, most days are so hot that the ride in your car would be unbearable without air conditioning. Turn to the tips below to troubleshoot your AC, as well as determine if it is time to dispatch a mobile mechanic in Phoenix. Not only should you aim to test your AC at least one month before it gets seasonably warm out, but you should set a goal to run your AC for at least 10 minutes every week or two—even during the winter months. This will help to keep the compressor working at an optimal level. As an added benefit, turning on your AC is an excellent way to eliminate internal fog on your windshield. 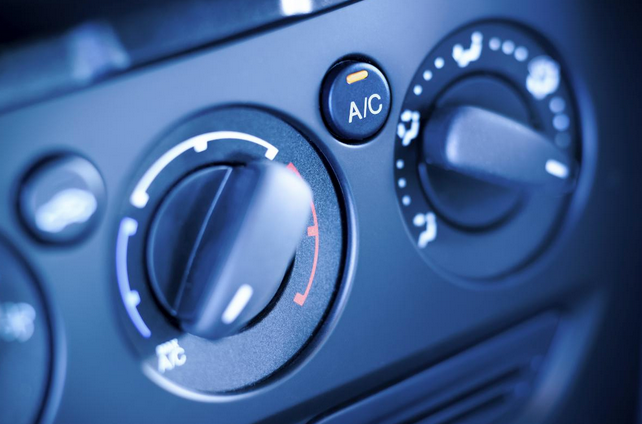 While you want to test your AC on full blast prior to the summer months, during the winter you can run it at a lower setting so that your car doesn’t get too cold. One of the challenges with your automobile AC, is that running it for long periods of time, or even for short periods of time on full blast—will create moisture. While you are not likely to notice the moisture inside your vehicle, the moisture will gather in your condenser and can lead to mildew. Mildew in your condenser will create a musty smell in your car. If the musty smell is already present, you will need to get in touch with a mobile AC auto care professional to have your condenser flushed. You can take a proactive approach to avoiding the musty smell, by running your defroster for 5 to 10 minutes each time you use your AC—towards the end of your drive is best. At minimum you will need to have your auto AC serviced and recharged once every two years. If you do a large amount of driving, you may have to do this on an annual basis. Even if your AC is working properly, regular service will help to catch any areas of opportunity sooner rather than later. Also keep in mind that auto AC units tend to slowly began to lose their ability to cool. As soon as you notice your auto AC taking longer to cool your vehicle, it is time to begin the search for discount auto repairs in Phoenix.